Kurion is a startup innovator in nuclear waste treatment and has already had immense experience in helping clean up Japan's nuclear mess at Fukushima. 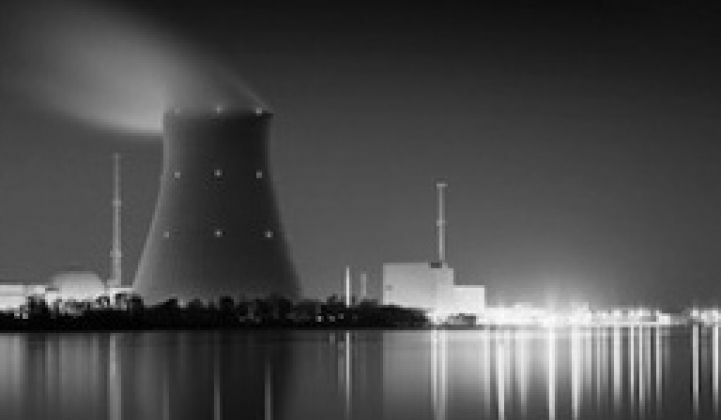 The disastrous event in Japan accelerated Kurion's development as a company and player in the nuclear industry, with Kurion serving as the only startup in a big-time multi-national consortium treating the contaminated seawater at the nuclear plant operated by Tokyo Electric Power (TEPCO). The CEO would not disclose the revenue generated from that project. Kurion is now in a partnership with Pacific Northwest National Laboratory (PNNL) to test and demonstrate its Modular Vitrification System (MVS). That's essentially a vote of confidence in Kurion's technology and maturity as a firm. In the words of CEO John Raymont, Kurion’s goal is to "help nuclear live up to its green potential -- and the relationship with PNNL will help us get there more quickly." Raymont likens the Kurion system deployed at Fukushima to an industrial-scale, Britta-type water filter where radioactive water flows through steel vessels filled with its proprietary media to "pick out the isotopes" specified by the customer. When depleted, the vessel/media combination is then removed and stored with replacement vessels/media inserted into the system. That's the first phase of Kurion's business. The next phase is completing the development and commercialization of its vitrification technology: immobilizing the nuclear material (e.g., depleted/isotope-laden media) into a stable, leach-resistant glass matrix. Kurion's Modular Vitrification System uses inductive energy to convert waste into glass directly inside the final disposal container. The end-canister method is simpler and potentially less expensive than the traditional approach using large joule-heated melters. Developed for high-level waste where waste form stability overrides cost concerns, vitrification has yet to become economical for the high-cesium-content, low-level wastes typically found at nuclear power plants or Fukushima; it's a paradigm that Kurion intends to change. "We had removed 8.4 million curies in the first year" at Fukushima, said Raymont. Putting that into perspective, the entire U.S. nuclear fleet disposes of 500,000 curies in total, according to the CEO. Raymont said that the "first phase is to get the activity levels down" from the "witch's brew of grease, oil, seawater, and an incredibly high level of radioactivity." After that, the water gets desalinated and recycled back to the reactors as cooling water. Nuclear power plants don't emit greenhouse gases during operation and produce small amounts of low-level waste in their daily operation. While the decision to recycle spent fuel has been resolved in countries like France, the decision of what to do with it in the U.S. remains controversial, despite federal law designating Yucca Mountain as its repository. Certainly unused fuel, radioactive waste, and uranium mining are hardly green or renewable. Unlike Germany or Japan, which are both scaling back their reliance on nuclear power, nuclear power in the U.S., U.K., Canada and many existing nuclear-reliant countries is going to continue to be part of the electricity mix for the foreseeable future. For the U.S., that's due to two reasons: first, because the U.S. has so much of it -- producing more gigawatts of nuclear than any other nation from its 104 reactors. And second, because the U.S. nuclear power industry, the Department of Energy, and the defense industry are all intimately linked. So the U.S. has a huge and mounting problem: millions of gallons of liquid nuclear waste stored at nuclear power plants and large government sites that date back to the Manhattan Project (for example, there are 50 million gallons of waste at the Hanford site alone). Kurion's initial focus is on the commercial nuclear power plant market and its 440 nuclear reactors worldwide. Kurion's other market is waste from the Cold War -- waste that will take 20 to 30 or more years to clean up. This originated from making fuel and bomb-grade materials, acids and other hazardous materials. Kurion's new partner, PNNL, has experience in testing vitrification melter designs and nuclear processing technology and will provide testing and analysis, which is paid for by Kurion and is taking place at the Radiochemical Processing Laboratory at the DOE's Hanford site. The aim of the PNNL team is to "demonstrate the immobilization of radionuclides captured on Kurion Ion-Specific Media used by the Tokyo Electric Power Company (TEPCO) to process highly contaminated water at the Fukushima Daiichi Nuclear Power Plant." The PNNL lab will also perform demonstrations on Low Activity Waste (LAW) found at the Hanford site. “Kurion has successfully matured its Modular Vitrification System as far as it can go without using confirmatory radioactive simulants,” said Dr. Richard Keenan, VP of engineering for Kurion, in a company statement. Future testing phases with PNNL will use radioactive simulants. Engineering companies like Bechtel, Fluor, or CH2M Hill buy, implement and operate technologies on behalf of the federal government, which ultimately foots the bill and decides what technologies will get used. The federal government and the DOE have been looking for a solution to this problem for decades. Atypically, the answer might be coming from a startup and the private sector. Kurion's relationship with PNNL and its assessment of technology readiness could allow Kurion technology to enter and help clean up the nuclear power waste ecosystem. Kurion's 20-person team includes experts from both the nuclear and glass industries. CEO John Raymont is the former CEO of the unfortunately named Nukem, a firm that provided nuclear waste management services for 25 years before being acquired in 2007 by EnergySolutions. The Chief Technology Officer is Dr. Mark Denton, an innovator in the nuclear market. VP of Strategic Initiatives is Dr. Gaetan Bonhomme, a former senior research engineer at French glass and industrial giant Saint-Gobain. Josh Wolfe, from Lux, is the chairman. Kurion was incubated by Lux Capital with investment from Firelake Capital and private investor Arthur Samberg. A few other brave VC-funded startups are looking to make inroads into the nuclear industry, including small modular reactor (SMR) firms NuScale and Gen4.